I headed north toward the Grand Canyon's South Rim and the COCONINO PLATEAU. I don't know which is worse, the polluted Phoenix air; or all of the tourist at the South Rim of the Canyon :-)). Canyon's South Rim and just South of Tusayan a few miles off State route 64 and then West on road 306.
meant big tall round metal tanks or low open top tanks with water in them. Much to my surprise neither of the above tanks were correct. to hold run-off water from the rains and snow melt. depression in the ground no matter how it got there as a TANK. 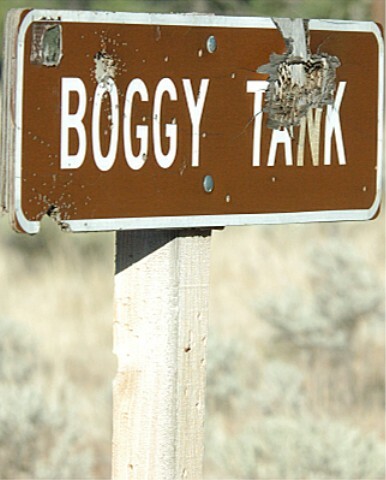 Many of the tanks were dry, parched, cracked dirt, and no water. This also meant no wild life would be coming to drink so I kept on driving. Some of the tanks were numbered and some named as you will see. with a smidgen of damp mud in the bottom of the hole, well, maybe just a bit more than a smidgen. Inasmuch as there was no water any where else we started to see birds immediately coming in to drink. Get out those cameras and let's start taking photos I said as I jumped out of Don's vehicle almost before it had stopped. Inasmuch as there no water any where else we started to see birds immediately coming in to drink. that means it's dam hard to stand up and stay straight up. And to see this littel feller I thought was quite a strange sight. March 6th. 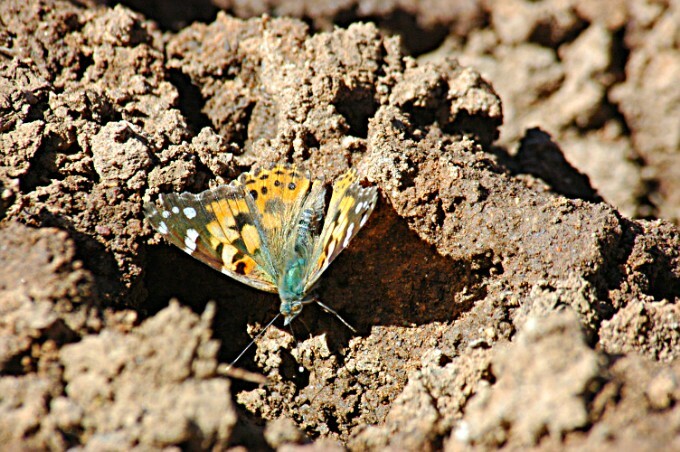 and it's cold yet this Butterfly is still flying around. 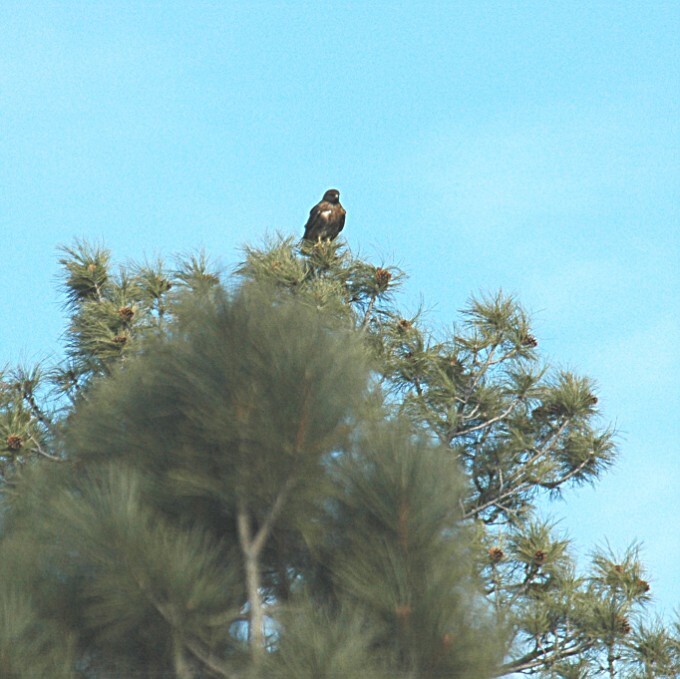 Headed back to van to warm up I spotted this bird in the tree just above the van. The sky is a strange color because I was shooting almost into the sun, therefore the light is not directly on the bird. Just in case you don't know what it is. 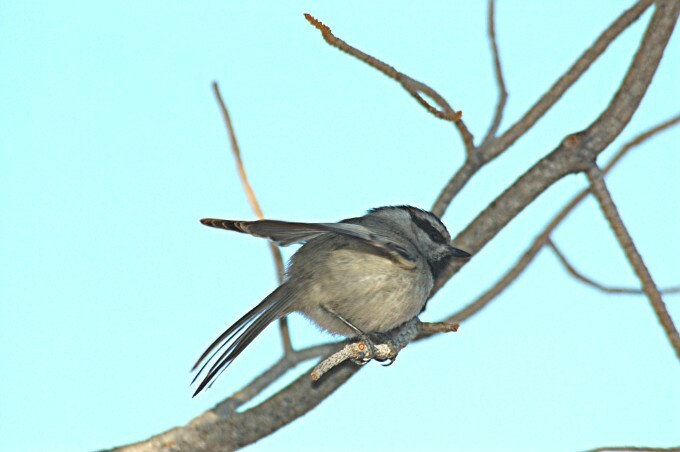 It's a Mountain Chickadee. 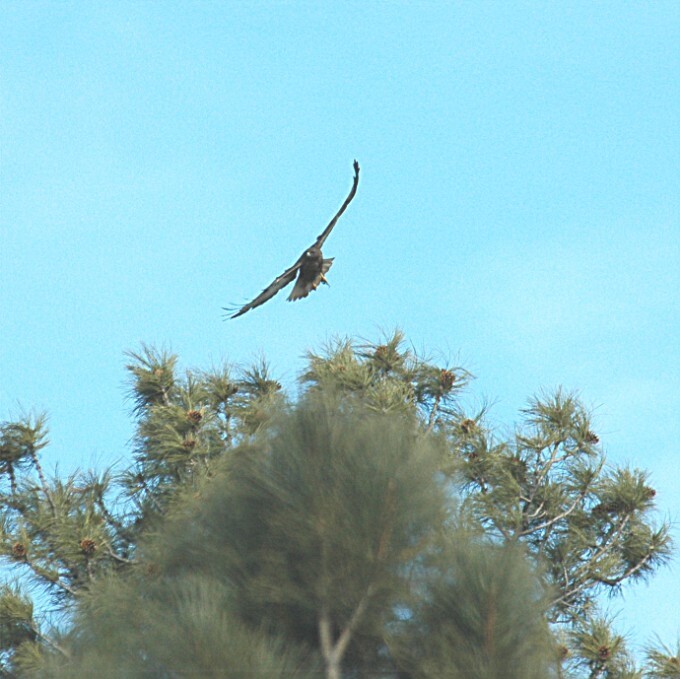 After getting back into the van I noticed a Hawk in a tree top quite some distance away. Jumping out I snapped a few images but they aren't the best because of the great distance it was away from the camera. 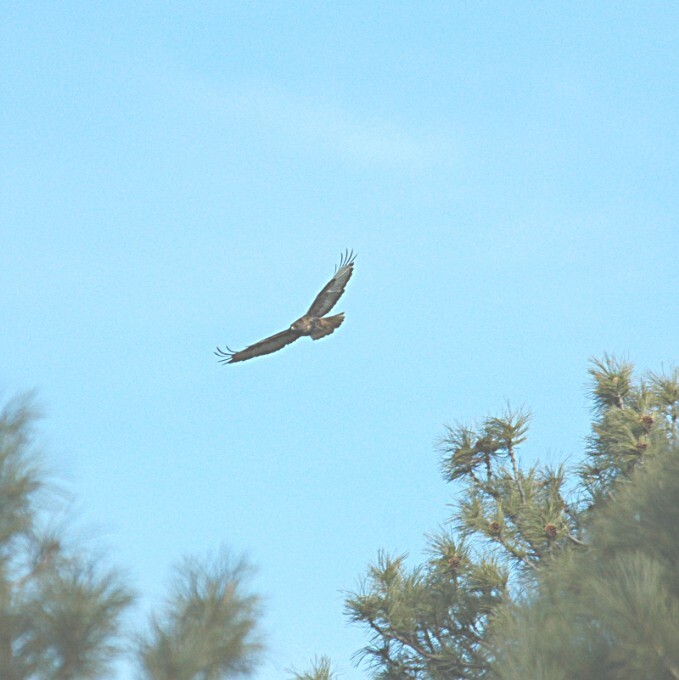 This looks like a Red-tailed Hawk but I am not sure. It took off imediately after I had snapped the shutter. You let me know if you think it's some other Hawk. to go through the whole article one page at a time just to see what's on the site.